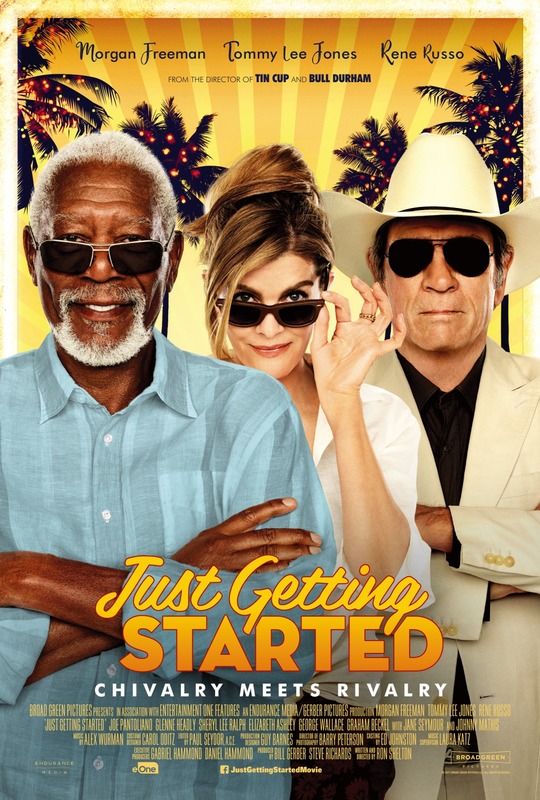 Morgan Freeman stars as DUKE DIVER, the freewheeling manager of the luxury Palm Springs resort, the Villa Capri. DIVER may have a mysterious past, but he’s a pro at making sure that life for the high-spirited residents is one big, non-stop party. But the status quo is challenged when ex-military charmer LEO (Tommy Lee Jones) checks in, triggering a competition between Duke and Leo for the top spot of Alpha male, as well as for the affections of the newly-arrived SUZIE (Rene Russo). When Duke’s past suddenly catches up with him, the rivals put aside their differences and the two men reluctantly team up to stop whoever is trying to kill Duke, and also save the Villa Capri. Note: The final scene with Duke leading the dancing continues during the first part of the credits.